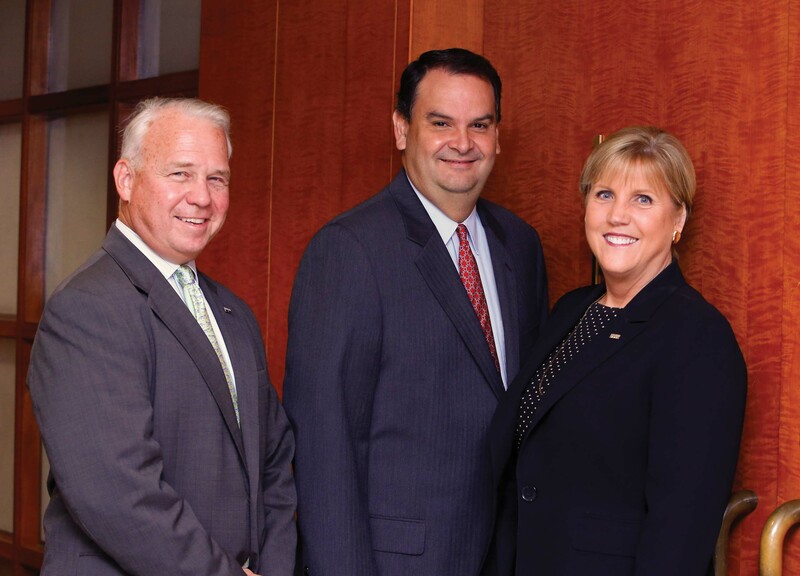 With a legal specialty group, a private wealth management group and a full array of retail and commercial services delivered through 115 branches in six South Florida counties, SunTrust Bank has the resources – both people and technology – to serve the region’s attorneys and their clients. Headquartered in Atlanta with approximately $190 billion in assets, SunTrust Banks, Inc. is dedicated to “Lighting the Way to Financial Well-Being” for its clients and communities. In the early 1980s, Callihan and a former colleague created a specialty banking practice at Third National Bank – which merged with SunTrust Bank in 1986 – that focused on serving musicians, songwriters, producers and other members of Nashville’s music industry. The experience of building a specialty banking practice helped open doors for Callihan, who later became business manager for retail and private banking for Tennessee and Alabama, and then chief executive officer of the Chattanooga region. Callihan moved to Florida in 2005 as president of SunTrust’s Southwest Florida region, and assumed her current position in South Florida in January 2013. “I have enjoyed every place I’ve worked, and always made it a point to get involved in my community,” says Callihan. She currently serves on the boards for United Way of Broward County, Channel 2 -WPBT, Broward Performing Arts Foundation and the Museum of Discovery and Science. “In keeping with our purpose of lighting the way to financial well-being, we partner with not-for-profits and community organizations that are helping to advance financial education for all groups in South Florida,” she says. Her diverse experience has made Callihan keenly aware of the benefits that specialized banking delivers. “Allowing teammates to focus on a distinct client segment or industry allows them to develop deep industry knowledge that translates into value that clients recognize and leads to a much richer client experience,” says Callihan. In keeping with SunTrust’s team approach, the bank’s South Florida region offers wealth management services to high-net-worth individuals and families from Miami to Vero Beach. “Our local wealth management teams work closely with South Florida attorneys, accountants and other advisors in developing financial strategies for our mutual clients,” says Manuel (Manny) Perez-Carrillo, executive vice president and head of South Florida’s Private Wealth Management business. Perez-Carrillo, who is based in Coral Gables, has more than 33 years of banking experience and oversees the 75-person division with eight offices in the region. Perez-Carrillo says SunTrust hosts an educational program for South Florida attorneys and accountants, including “lunch-and-learn” sessions for continuing education credit. One recent event featured a talk by Akerman partner Richard Milstein on the latest legal developments relating to gay marriage. Since launching the legal specialty group in 2005, SunTrust has built a model designed to serve four types of clients: the law firm, the partners (attorneys with an ownership stake), the associates (attorneys without an ownership share) and the staff members, including the chief executive or chief operating officer.